Move over break-fix services. Enter a resilient and efficient enterprise. At SPANCS we understand that proactive network monitoring, patch management, and desktop optimization performed on a regular basis will ensure a tremendous difference in operations… and you will reap the benefits of preventing fires, rather than fighting them. 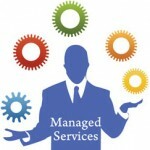 We provide managed services by fully understanding your needs which help you with better standardization, documentation, risk management and improved decision making.